Perfect for a meal, side dish, or snack! Place all ingredients in a food processor (except zucchini) and pulse until smooth. 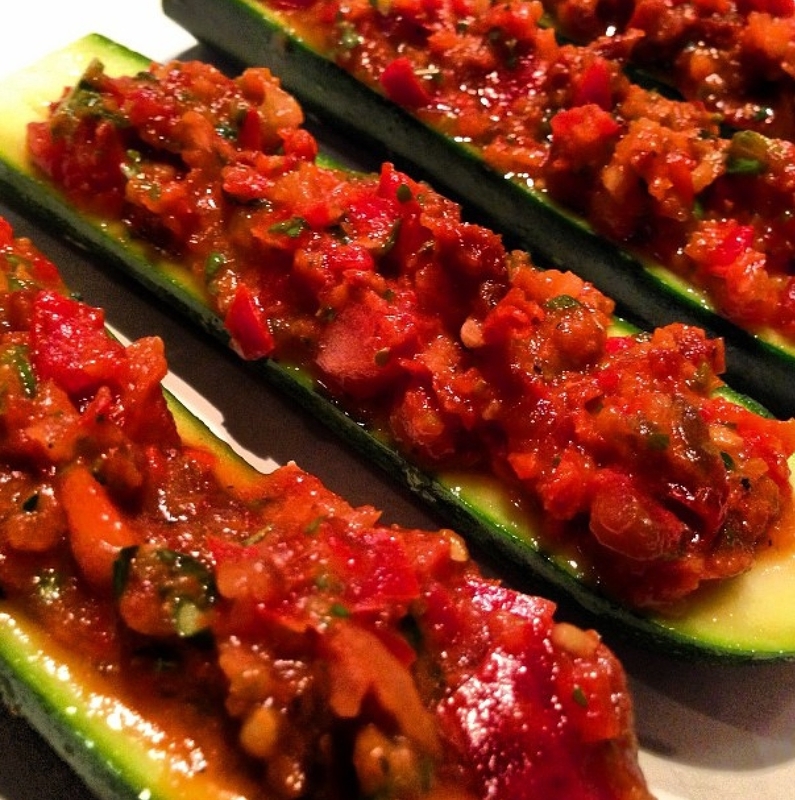 Slice zucchini in half and scoop out the middle to create a "boat". Place zucchini in a pan and spoon marinara on top. Eat as is, or bake at 375 for 10-15 minutes (just until zucchini are heated through) Enjoy!